Walkie Talkie Mode is a Voxer Pro feature that allows you to use Voxer hands-free using a Bluetooth wireless headset or wired headset. With Walkie Talkie Mode, you can receive and listen to audio messages, live without touching your phone for up to five chats and have the ability to respond back to one chat. Once you turn on Walkie Talkie Mode, messages will be streamed live to your wireless or wired headset, even if the Voxer app is not open, and your phone is locked. You can respond back to one chat using your headset or bluetooth device. To turn on Walkie Talkie Mode, first, turn on Bluetooth, connect your device, then turn on Walkie Talkie Mode inside the Voxer app. Go into your phone settings and turn on Bluetooth > Pair your device with your Bluetooth headset > Go into the app and turn on Walkie Talkie Mode. If you are on Android device, go into menu > settings > preferences > toggle on Bluetooth > select from available devices and pair your Bluetooth headset. Press and hold to record messages, and release once you have finished recording your message. Sending walkie-talkie messages with a Bluetooth headphone is currently unavailable for iOS devices. 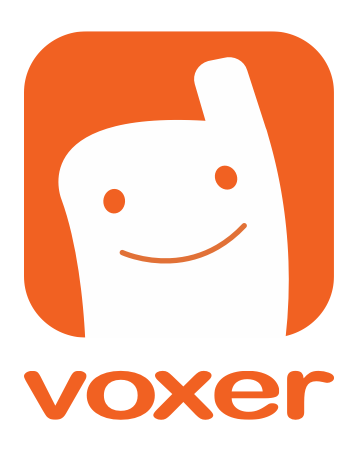 You can connect wired headsets to Voxer by plugging in the headset to your device. The message is sent while you are recording it. The user can listen live. Select the chat you want to turn on Walkie Talkie Mode for > Navigate to the Chat menu button in the top right corner > Select "Walkie Talkie" > Select "Yes." This can also be used as a widget chat by making your desired Walkie Talkie Mode chat the "Priority Chat" on the widget and enable the speaker mic for the chat. If you are using a bluetooth headset, go into menu > settings > preferences > toggle on Bluetooth > select from available devices and pair your bluetooth headset. Select the chat you want to turn on Walkie Talkie Mode for > Navigate to the Chat Settings button in the top right corner > Select "More Options" > Select "Enable Walkie Talkie Mode"